For the past few months our development and technical team lead by David and Dinesh at Ulistic has been doing extensive research on responsive websites and whether or not they have a place in the business-to-business market. We did not want to jump into responsive MSP website design without making sure we could deliver on providing MSPs with a top-notch responsive MSP website. Ulistic never uses nor will we ever use a template or even a canned theme to build your responsive MSP website. We feel that your business is unique and therefore needs something truly yours. Every single MSP website completed by Ulistic is designed from scratch. From when Will Wright (Ulistic graphics master) creates your custom design to the our ten MSP website developers cutting and slicing during the theme development. Everything is 100% customized for your MSP business. This is why we focus on you versus making your MSP sound like a clone or all the others. I personally take ownership of this and promise we will never give you a template or cookie-cutter responsive MSP website. Call it Phoenix or some other brand name…our MSP websites are 100% custom-built and a template is a template. 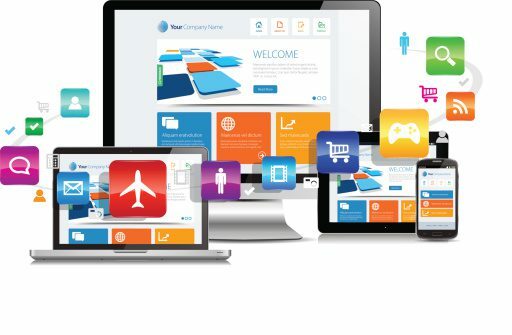 Why Responsive MSP websites and why now? Although I believe that many business owners still use a laptop, computer or a tablet to search for an IT company, we cannot afford to overlook the potential of mobile technologies and how your clients use their smartphones to search the web. True, we use our iPhones when at Best Buy to check out the specs of the latest camera, but do business owners search for a managed IT services company on their smart phone? I say it’s not likely, however it appears that some do. Ulistic has made a strategic move to ensure that every new website going forward leverages responsive website design. After all, from a deployment perspective, it isn’t a lot of extra work. So why shouldn’t we use the latest technologies and web-marketing strategies to help our clients gain a competitive advantage? Even though many business owners may not look for an IT company using their iPhone, Google loves mobile platforms —They rank sites higher in their search rankings (SERP) for sites that offer a single URL for all devices regardless of form factor. This is another reason why Ulistic is moving to responsive web design for all of our MSP websites going forward. We think it just makes good sense. What would you expect to pay to have a responsive MSP website? We believe that you shouldn’t have to pay anything extra. So, our $497 website package will automatically include a responsive website design. Did you know that the Ulistic MSP website service is the best value in the MSP community? You will have a fully responsive website, marketing videos, monthly newsletter, unlimited case studies, unlimited press releases—unlimited everything. Yes, that’s correct. Need a landing page designed? No problem—no extra cost. We will always provide a package you can easily budget for and rely on. That’s how we do things at Ulistic. Sign up today—call 716.799.1999. After all Ulistic is your foundation for stratospheric success and we never take this responsibility lightly. We eat and sleep MSP marketing and nothing else.